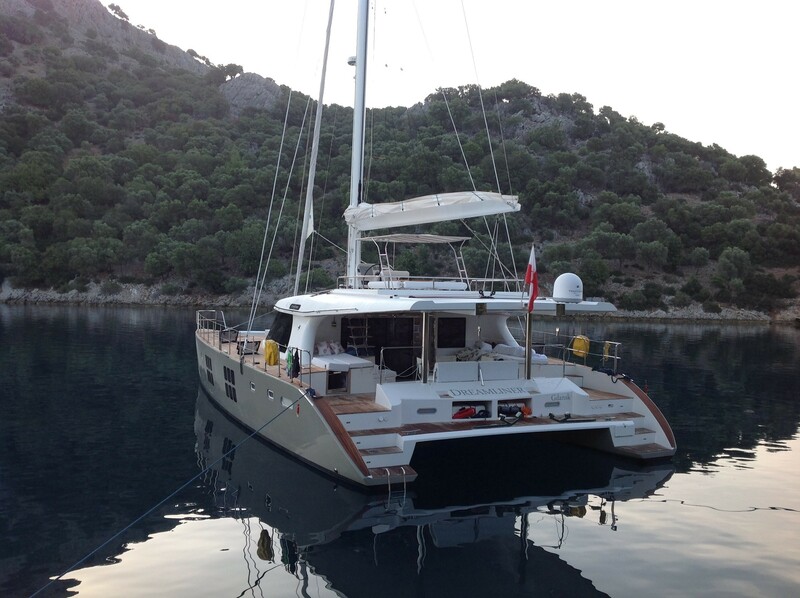 Sailing catamaran ALL VIEW (ex Dreamliner) was delivered by the well-established Sunreef yacht builders in 2011. 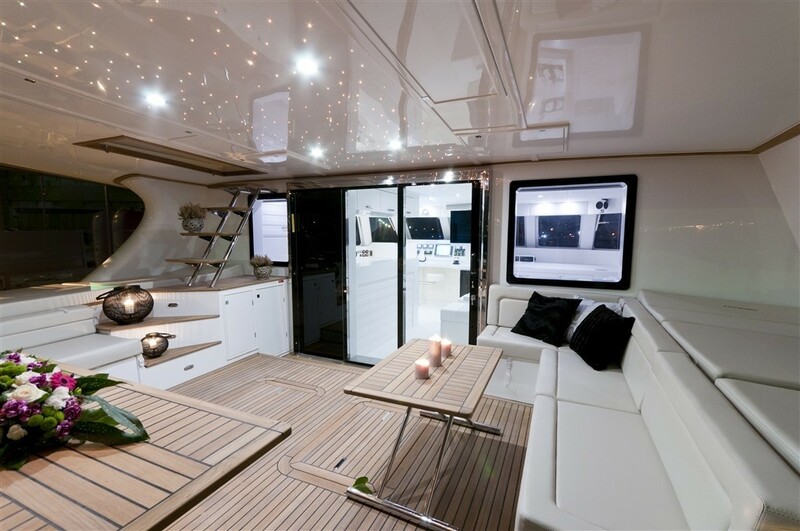 S/Y ALL VIEW measures 18.2m (58ft) and was built in high-tech composite materials via vacuum infusion. The yacht boasts a 9.19m (30ft) beam thanks to her multi hull design and therefore has no compromise on interior or exterior space and storage. 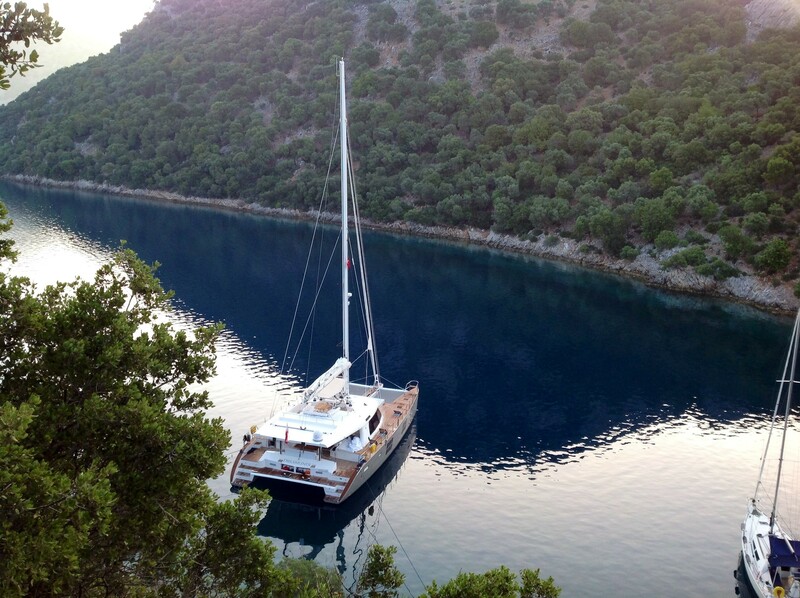 ALL VIEW can accommodate up to 6 guests in 3 deluxe en-suite cabins and is available for charter in the East Mediterranean year round, run by a professional crew of 3. 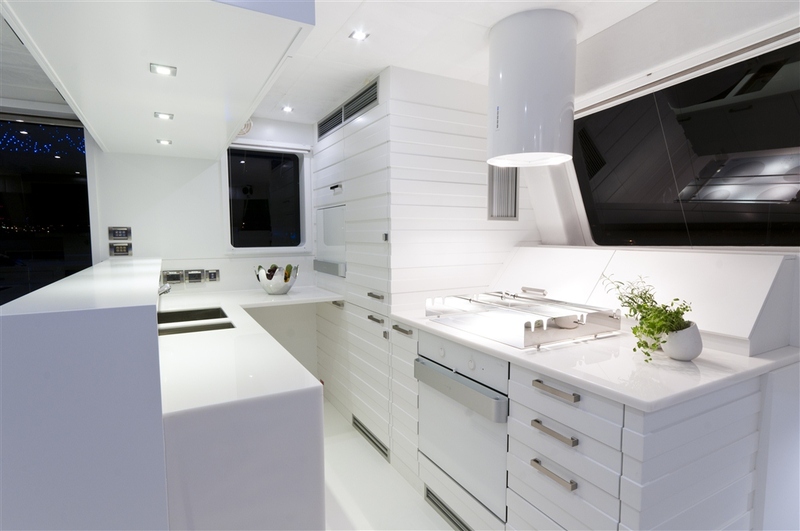 Sailing multihull ALL VIEW has an elegant interior featuring varied shades of white, creating a crisp clean and mellow atmosphere. 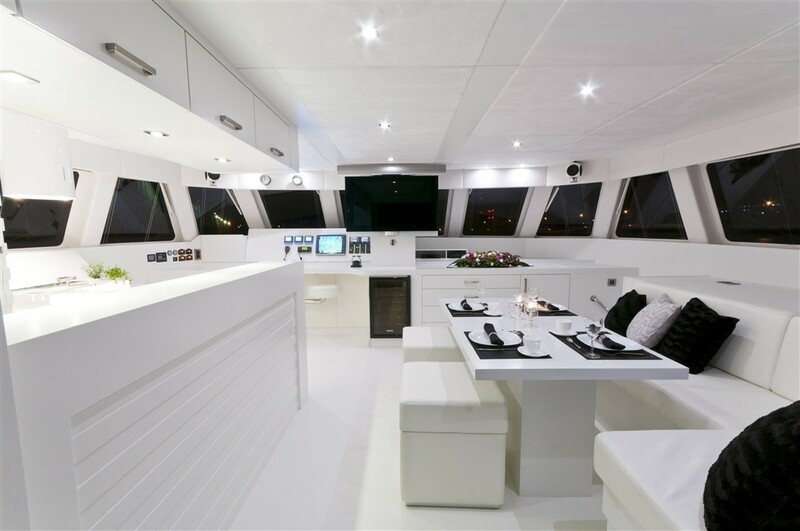 The salon boasts a formal dining space, large sofa, galley with breakfast bar and state of the art entertainment by Bang and Olufsen. Charter yacht ALL VIEW offers a master stateroom in the port hull, complete with king size bed, sofa, vanity, full entertainment system and large en-suite facilities with an optional hydro massage shower. In the port hull, 2 double cabins feature queen size beds, the aft cabin also boasts a hydro massage shower, the forward guest double has en-suite facilities with shower. 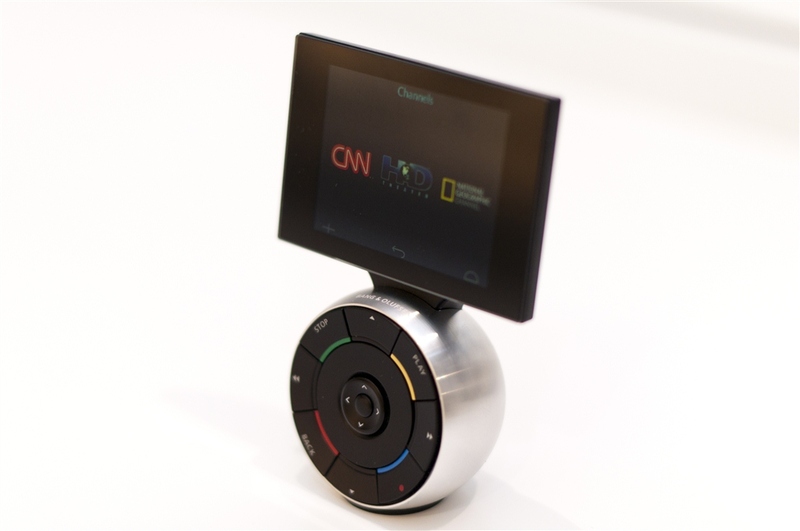 Each cabin has private air conditioning controls and offer audio and visual entertainment. 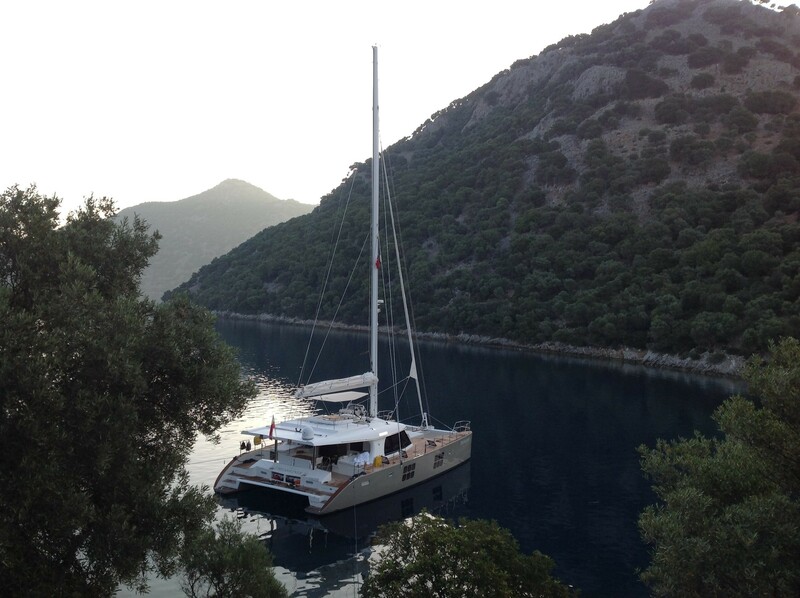 S/Y ALL VIEW has ample deck space on 2 levels. 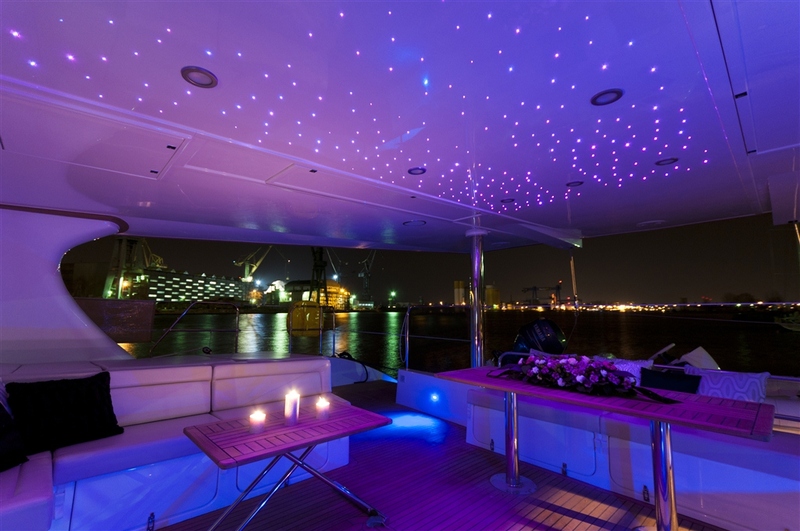 The aft deck is shaded and has two alfresco dining tables, plenty of generous seating, side deck sunpads and impressive lighting ideal for a romantic evening. 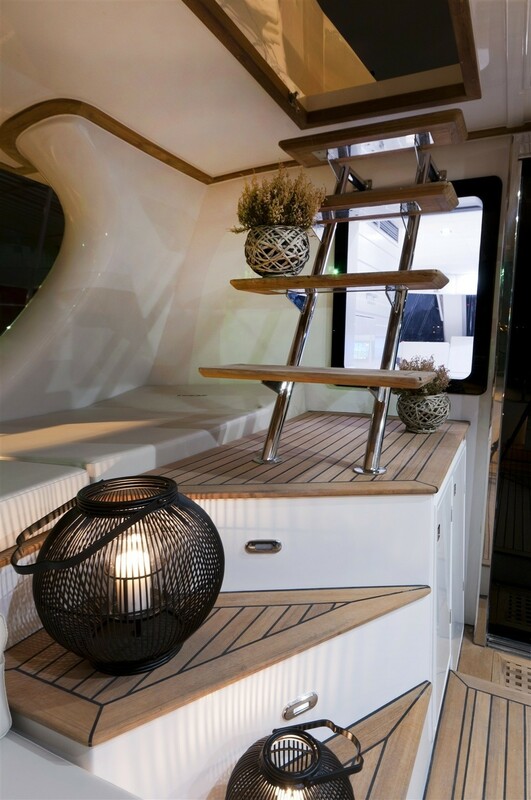 Transom steps lead to the large full beam aft swim platform from both hulls, ensuring ease of access to the azure waters and yachts tender. 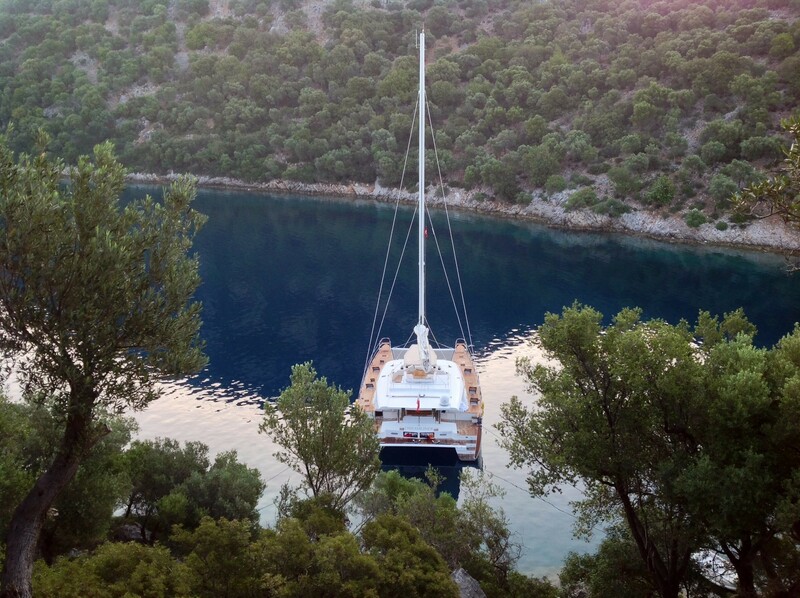 Forward aboard the sailing yacht ALL VIEW, 2 large safety trampolines is the ideal place to relax with a book, or soak up the sun. 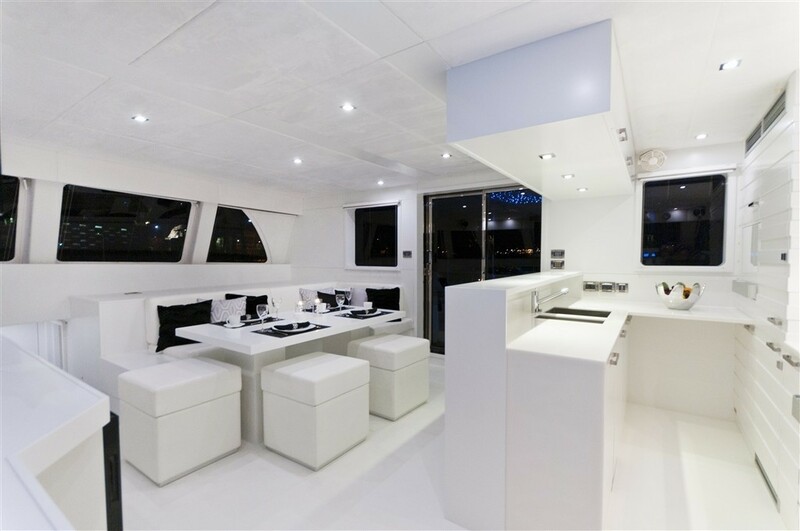 Luxury Sunreef Catamaran ALL VIEW boasts a spacious flybridge and helm station with an optional Bimini cover ensuring optimum comfort. 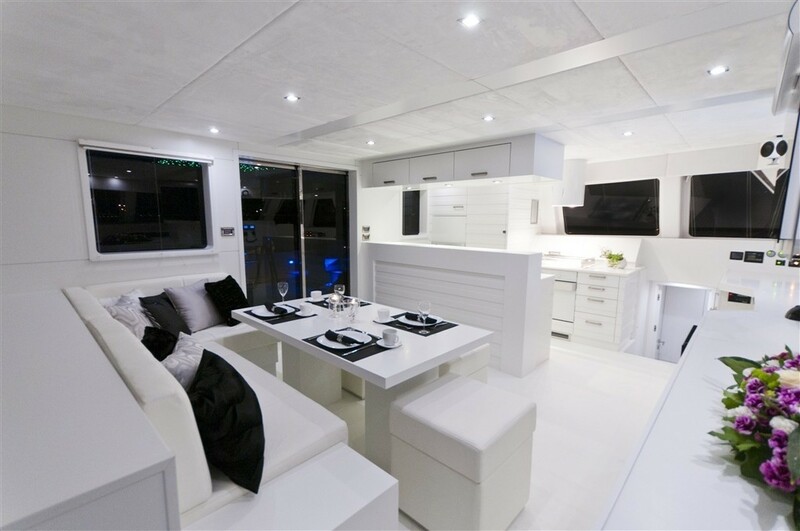 Guests can enjoy a further alfresco dining option, plenty of seating and sunpads, all while experiencing the smooth sailing capabilities of the stable catamaran design. 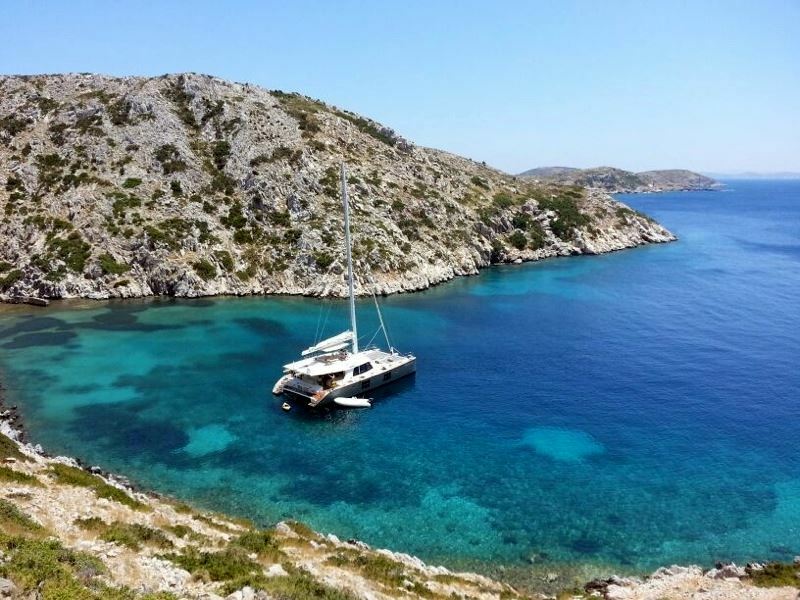 Charter yacht ALL VIEW has a draft of 1.5m (5ft), allowing her to sail into bays and coves many other yachts will be unable to enter. The sloop rig under white sail boasts 1970 square feet of canvas, she is powered by 2 x 115HP Yanmar engines and cruises comfortably at approximately 8 knots. 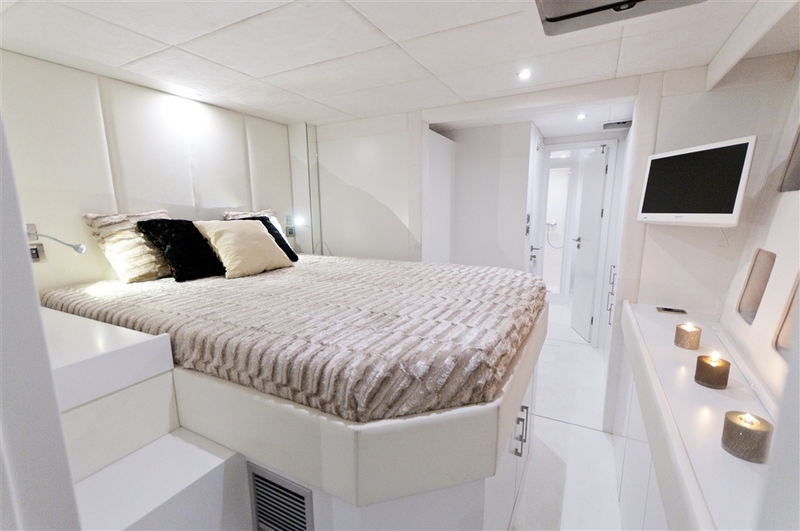 The ALL VIEW Catamaran offers 3 double cabins for up to 6 charter guests. 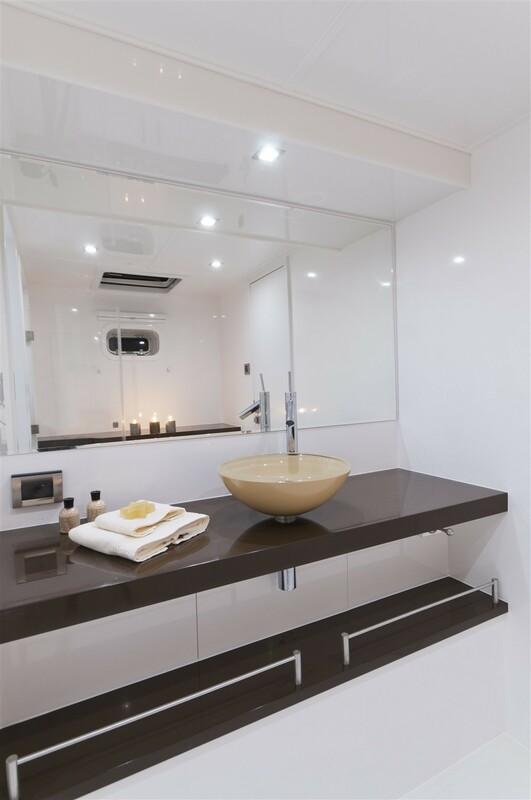 The master suite is in the port hull with a king size bed, vanity, sofa and en-suite with hydro massage shower. 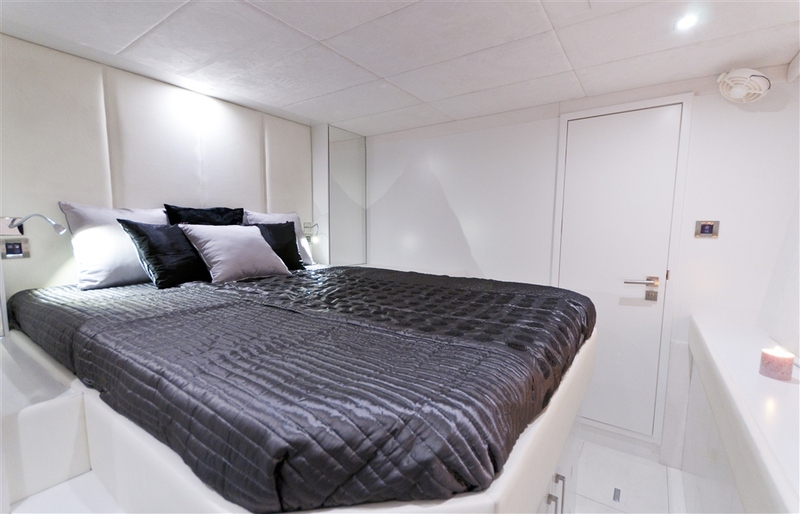 On the starboard side aft is a guest double with queen size bed and en-suite with hydro massage shower. 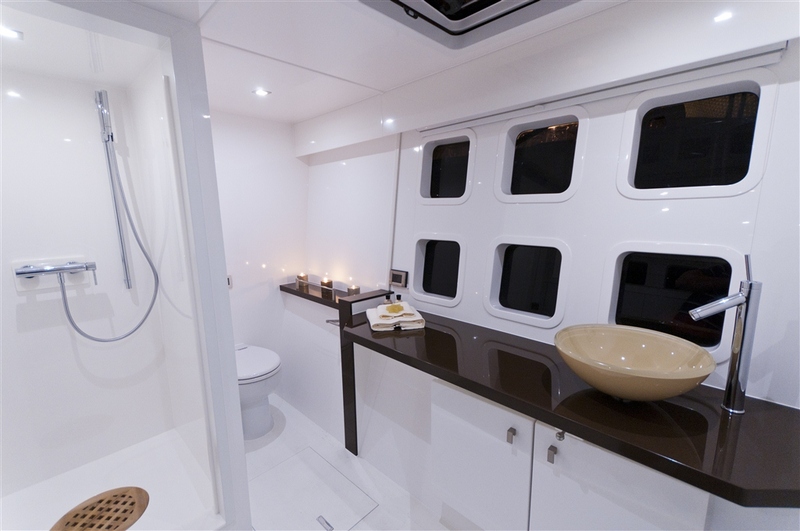 A guest cabin forward in the starboard hull offers a queen size bed and en-suite facilities with a dry shower. 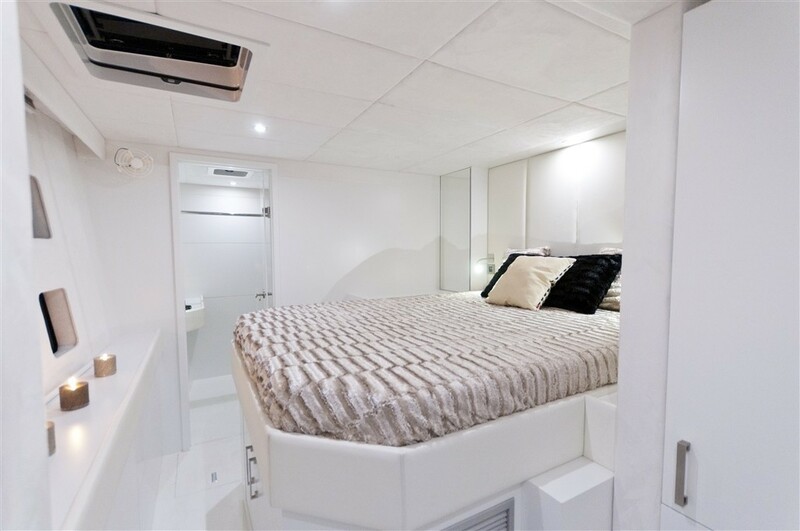 Each cabin features a décor of soft shades of white, is spacious and airy and offers individual air conditioning controls and full entertainment systems. 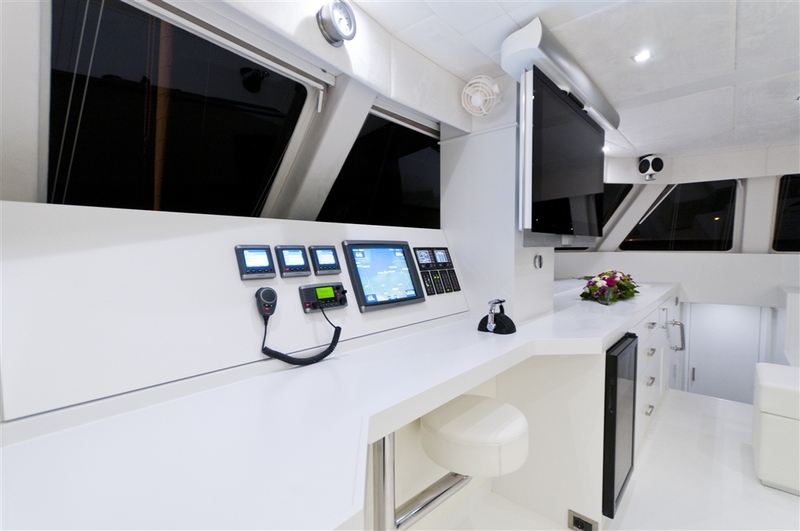 The Sunreef 60 Cat ALL VIEW has these Tenders + toys: Zodiac Yachtline DeLuxe 50 HP. 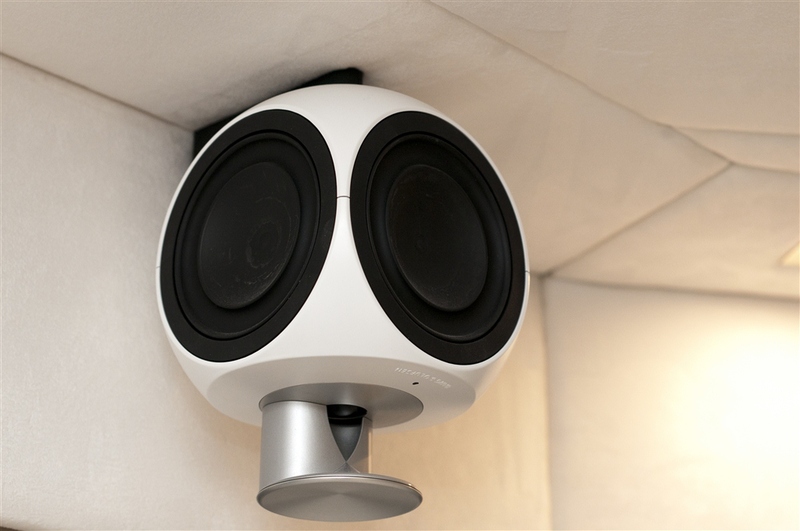 Audio Visual Equipment and Deck Facilities include a 40" LCD TV in Saloon, 2x 20" LCD TV + DVD/CD player, Bang & Olufsen: TV beovision 7-40 with central speaker, amplifier BeoLlnk Passive, 2x Beo Lap 3 speakers, Beo 5 remote control, Exterior sound system, Satellite TV antenna, Safe.